Luanda (Agenzia Fides) - Unemployment, youth crime, fiscal policy that destroys small businesses, the spread of AIDS, the proliferation of religious sects. 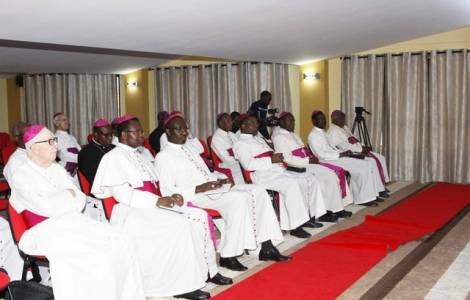 These are the problems that afflict society according to the Bishops of Angola. In a statement published at the end of their first annual Plenary Assembly, the Bishops denounce "the rampant growth in unemployment and crime among young people, who feel desperate and without immediate solutions. The struggle for the moralization of society must therefore be followed by clear and urgent measures to promote employment and fight poverty". The economic conditions of a large part of the population are also aggravated by the weight "of increasingly aggressive taxes that stifle and kill small and medium-sized enterprises, damaging the most disadvantaged fringes of society". The Bishops say that "despite the investments made by the Executive in the education sector, still a large number of children are outside the educational system, due to the chronic absence of teachers in remote areas of the country". With regards to health, the document states that "the widespread growth of HIV-AIDS cases is evident". The Bishops ask everyone to engage in awareness-raising and empowerment campaigns to reduce the risk of further infections. The Bishops also affirm that despite the efforts made by the government, the proliferation of religious sects continues, proposing "doctrines contrary to our culture and Christian faith, which are destroying families and undermining our social fabric".